The Cinemalaya Foundation has announced the finalists for the Short Film Category for the 2013 Cinemalaya Competition. The ten finalists in the Short Film Category are: Bakaw by Ron Segismundo, Katapusang Labok by Aiess Athina E. Alonso, Missing by Zig Madamba Dulay, Onang by Jann Eric S. Tiglao, Para kay Ama by Relyn A. Tan, Pukpok by Joaquin Adrian M. Pantaleon, Sa Wakas by Ma. Veronica Santiago, Taya by Philip Adrian Bontayam, The Houseband’s Wife by Paulo P. O’Hara, and Tutob by Kissza Mari V. Campano. Bakaw is a day in the life of a child who steals at the Navotas fishport. Katapusang Labok depicts the struggles of fishermen who must deal with environmental abuse and the effects of coral harvesting on their livelihood. Missing tackles the subject of forced disappearances. Onang is the classic tale of a young probinsyana who seeks her fortune in the big city. Para kay Ama is about a young Chinese-Filipino girl who discovers she has a half-brother when she meets him on the last day of her father’s wake. Pukpok is one adolescent’s transition to manhood as he hurdles a case characterized by excessive blood, superstition and a man with failing eyesight. Sa Wakas is a reflection on the bond of a father and daughter tested by cultural, political and religious hypocrisy. Taya is about a 12-year-old boy who learns to play the game of life with a new set of friends. The film highlights how traditional Filipino games reflect the realities and disparities of our society. The Houseband's Wife is an essay about a typical OFW family, with the OFW wife as breadwinner and the husband left in the Philippines to care for the children. Technology and the internet bridges the physical distance but shatters domestic harmony when the wife, on a Skype video call, sees a bra, not hers, hanging in the marital closet. Tutob begins when recent bombings in the region put authorities on alert. A mysterious, strange-looking native Maranao man dressed up in Muslim attire shows up. He is tasked to fetch a package from his boss' contact. From a rural area in the mountains, he rides his motorcycle to the city to get the package. On his way back, he is stopped at an army checkpoint. Speaking Maranao, he says he doesn’t know what’s in the package, but the Visayan-speaking soldiers don’t understand him and insist on opening it. The short feature category finalists were selected by the Cinemalaya Selection Committee comprised of Emilio Abello, VI, Lawrence Fajardo, Nic Deocampo, Mike Sandejas and Teddy Co.
Cinemalaya 2013 will be held on July 26 - August 4 at the Cultural Center of the Philippines and Ayala Cinemas at TriNoma, Greenbelt 3, and Alabang Town Center. It is a project of the of the Cinemalaya Foundation, Inc., in partnership with the Cultural Center of the Philippines (CCP), the Film Development Council of the Philippines (FDCP) and Econolink Investments, Inc. (EEI). 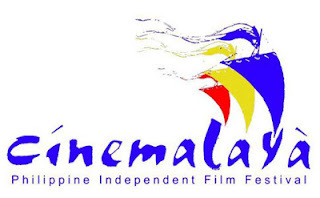 Cinemalaya also features the Short Feature competition category as well as film exhibitions, seminars, conference, the Cinemalaya Film Congress, and other film-related events. For more information, please visit www.culturalcenter.gov.ph and the CCP facebook page.